Chief Ademola Odunade, the President of a Mapo Customary Court in Ibadan, on Tuesday, dissolved the 19-year marriage between one Abdulahi Azeez and Mujidat over adultery. In his ruling he said, “If an adulterous spouse does not kill herself, she will definitely kill her husband, therefore the union between Abdulahi and Mujidat has ceased to be. “Custody of the last child produced by the union is awarded to Mujidat while Abdulahi is granted custody of the first three. “Abdulahi shall pay a monthly allowance of N5,000 for the child’s upkeep in addition to been responsible for her education and other welfare." 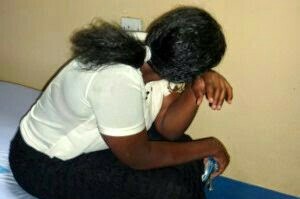 In his petition, Abdulahi, a businessman who resides at Moniya area of Ibadan said: “for 19 good years my lord, I have endured all sorts of horrors and psychological trauma due to Mujidat’s constant adultery with all shapes of men. “As a businessman, I travel around to ensure that Mujidat and our four children are comfortable, however, Mujidat only pays me with infidelity." The respondent who opposed the divorce suit also denied the allegations leveled against her. Mujidat begged the court not to dissolve her union with Abdulahi. But the court said he defence wasn't good enough.